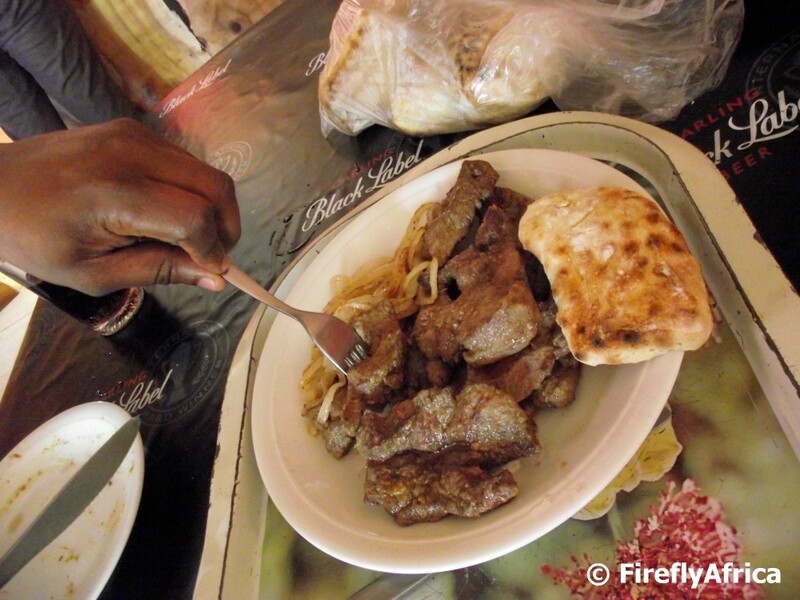 I feel like a typical township lunch of liver, onions and roosterkoek today and decided to go and dig out this picture I have posted previously on The Firefly Photo Files. A couple of us ventured to a township eatery a little while ago under the guidance of one of my black colleagues. He knows all the best spots and took us for a scrumptious lunch of beef stew followed by liver and onions served with roosterkoek and ice cold Coca-Cola. I wish I could get more white South Africans to go and experience a township lunch because I'm sure a lot of them will really enjoy the experience. Read about our lunch. 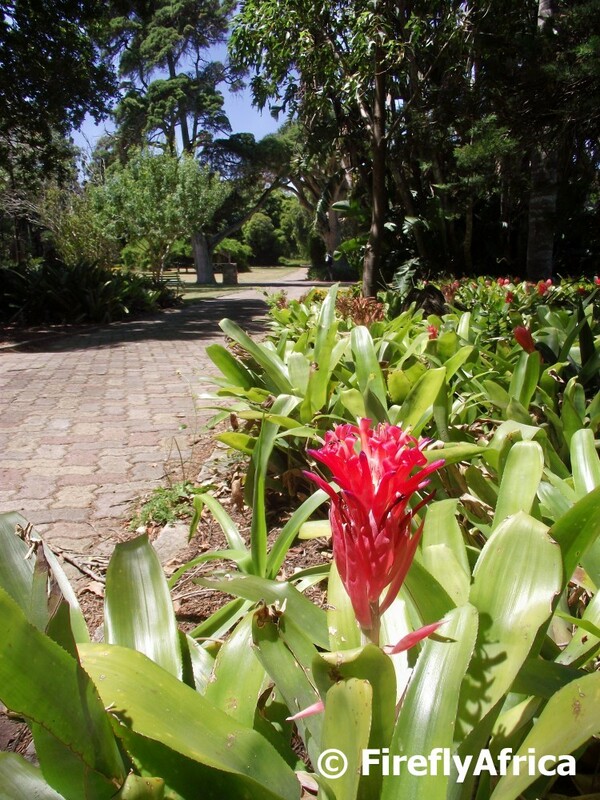 Port Elizabeth has some wonderful historic cemeteries, one of them the Scottish Cemetery in St Georges Park. 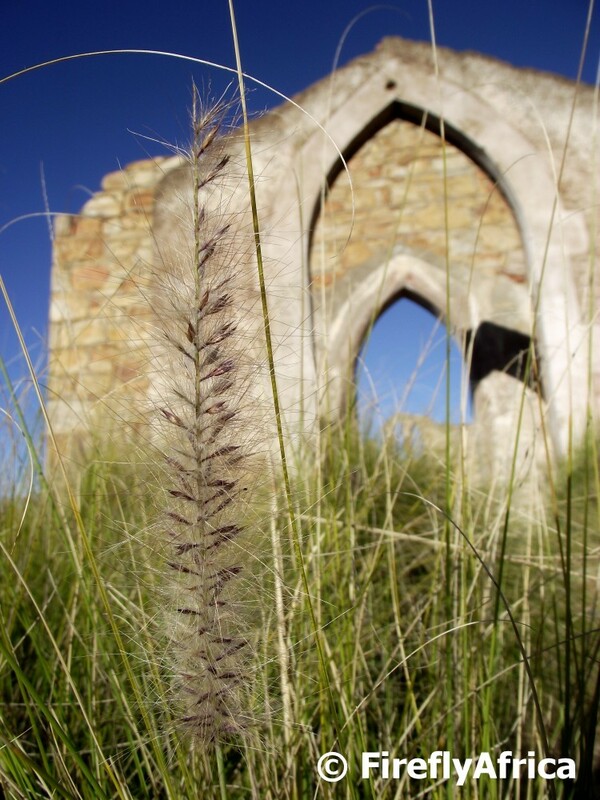 The first cemetery in Port Elizabeth was St Mary's Cemetery which started as a military cemetery, but after the arrival of the British Settlers it was assigned to the St Mary's Collegiate Church and opened for the burial of all Christians in the town. The growth of the town increased the demands placed upon St Mary's Cemetery and allocations of small pieces of land on the town margins to accommodate the various Christian denominations were made. One of the cemeteries established in the following years was mainly for the Church of Scotland set aside in 1854 on the western edge of town. This was later incorporated into the extensive St George's Park. The Pearson Conservatory is really looking stunning since its refurb two years ago. Gaelyn from Geogypsy is on tour through South Africa and I was very fortunate that she spent the day with me yesterday. She had seen most of the places we visited on PE Daily Photo before, but seeing it in real life is just so much more special. 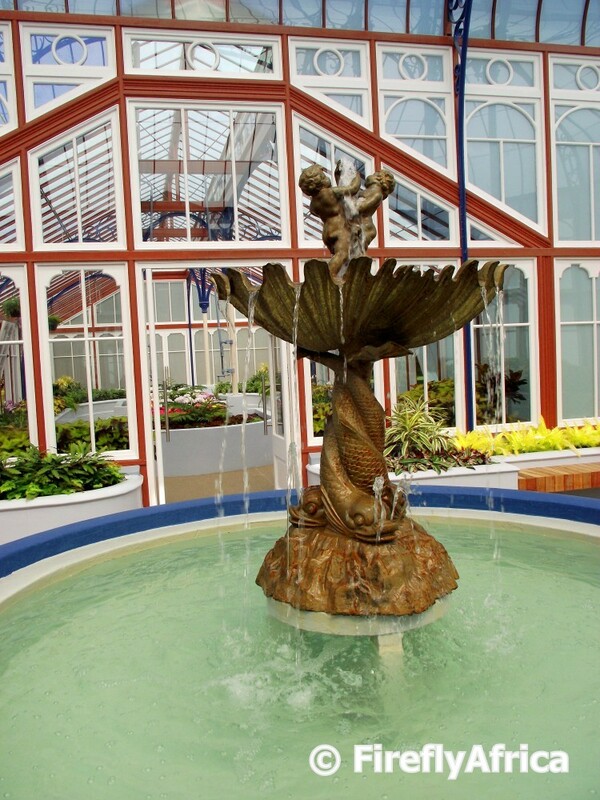 St Georges Park and the Conservatory was one of the places I took her to and she was amazed at how beautiful it is. 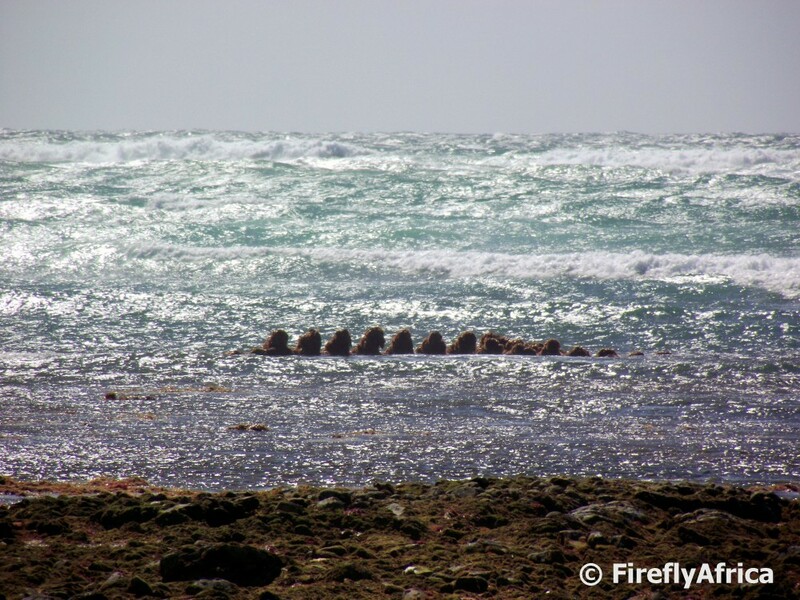 Could it be that there are sea monsters in the ocean around Port Elizabeth? Spotted this creature moving about in the waves just off Cape Recife. Immediately grabbed my camera and ... It didn't move off. Stayed in the same spot in the waves. Mmmmm, disappointment. Its only the remains of a shipwreck visible at low tide. 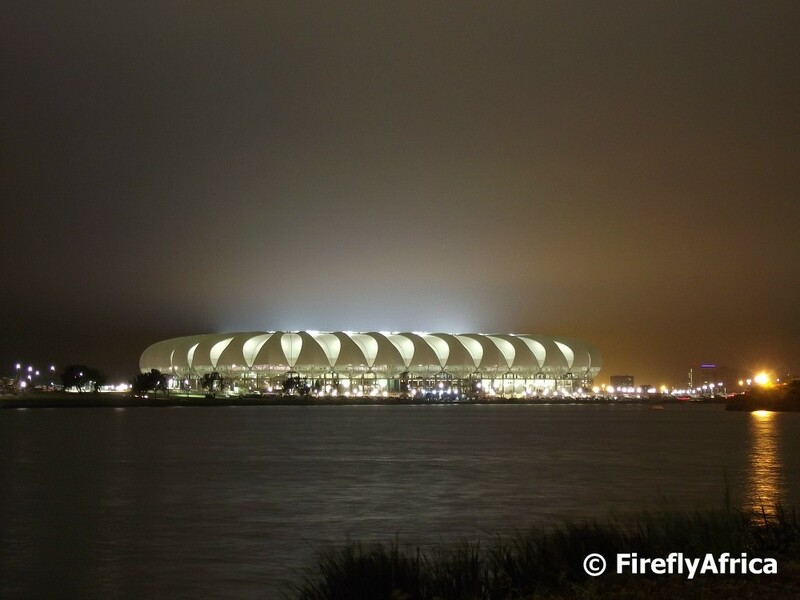 Today is a historic day in Port Elizabeth. The Southern Kings are making their (very controversial)Super Rugby debut against the Western Force in the Nelson Mandela Bay Stadium tonight. A capacity crowd is expected and let's hope the boys don't disappoint in front of their home supporters. 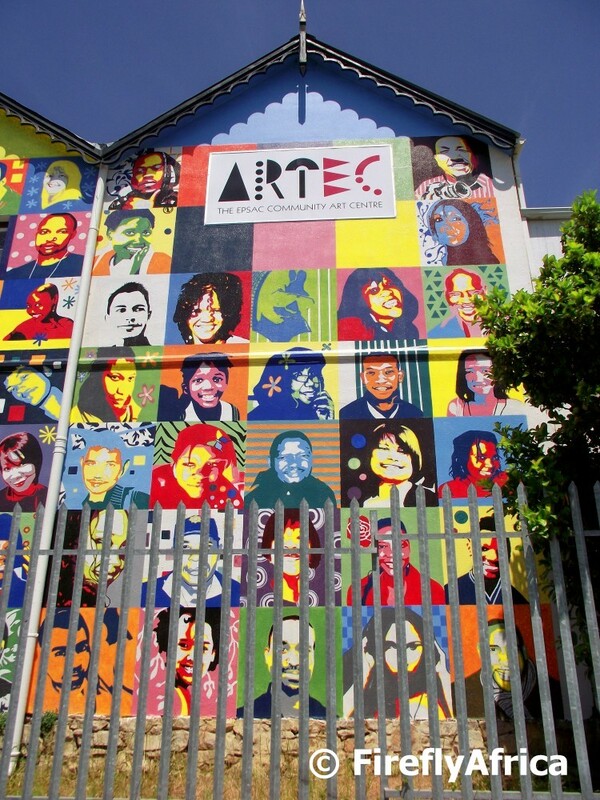 You get to see the most interesting and unusual sights when visiting the townships. Well interesting and unusual sights for those of us who don't live in the township because for the inhabitants its everyday sights. Like this sight of an informal butcher working from an roadside shack hacking open a cow skull with an axe. 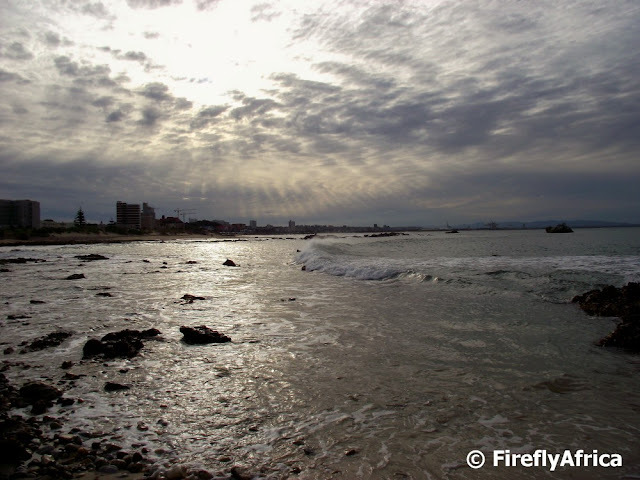 I took this picture on a trip with an Argentinean journalist a little while ago and posted it on The Firefly Photo Files, but would like to share it with you as well. 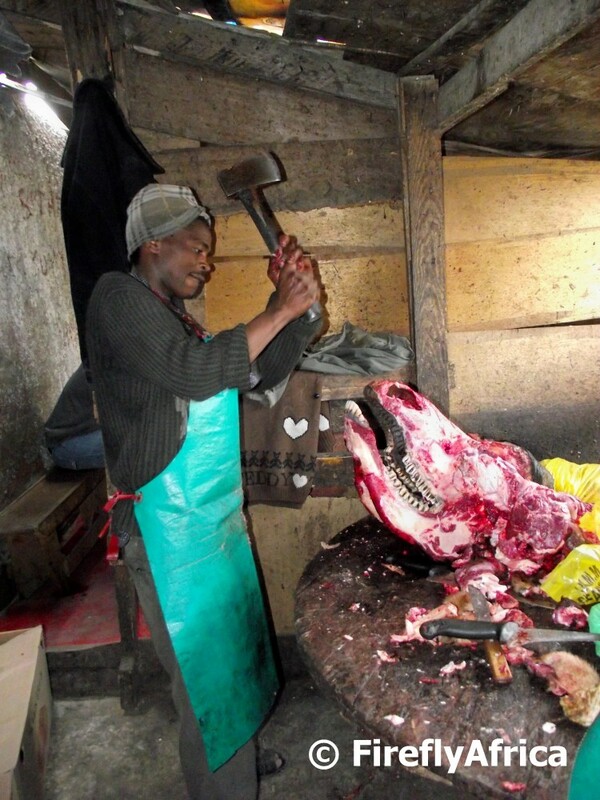 We were both amazed at the sight and snapped away, with bone shards flying all around us, as he worked. I feel like I am having one of those days where I just want to get out and go for a walk somewhere relaxing. Somewhere in nature. 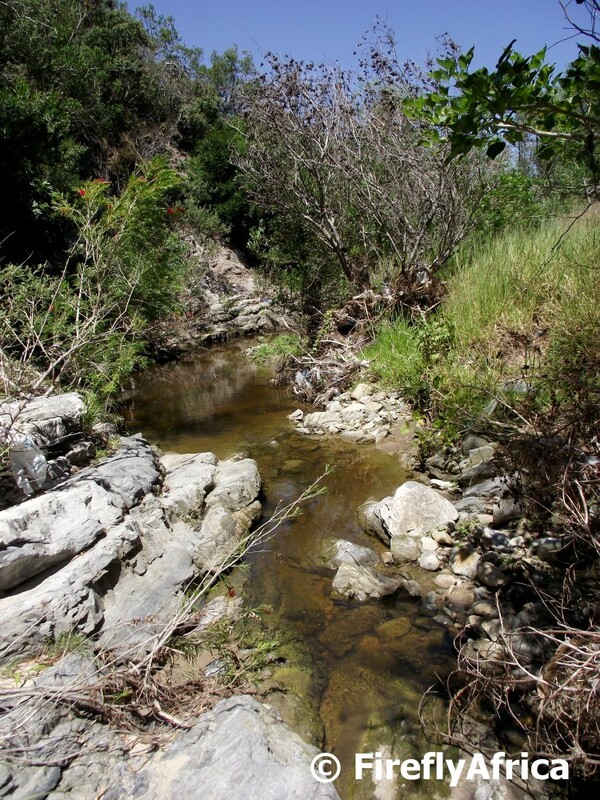 Somewhere with a stream. But alas I am stuck in the office. I do have this picture of a couple of friends doing just that in Settlers Park. 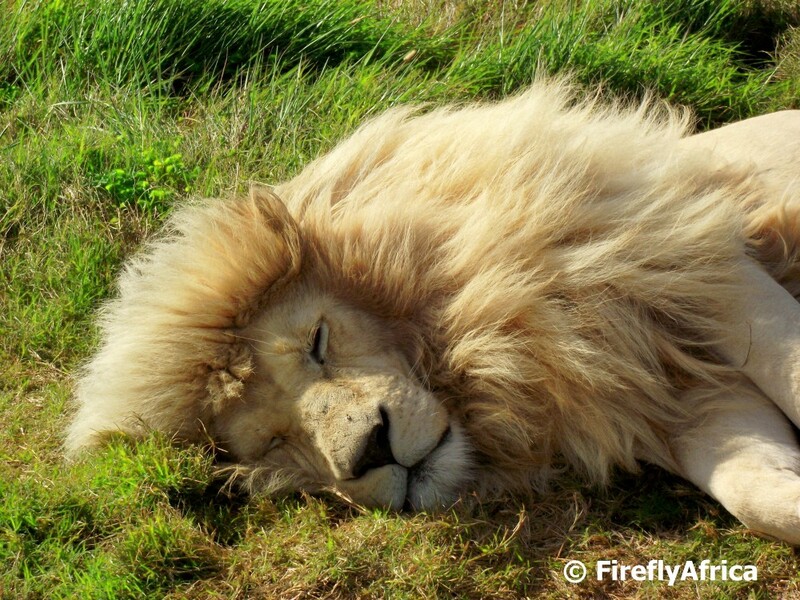 Don't you just want to cuddle up to him? Well I wouldn't dare, but this male white lion at Seaview Preditor Park does look very inviting to cuddle up with for a bit of a afternoon snooze. Also just want to wish Drama Princess a happy 8th birthday today. My little girl is getting big very quickly. 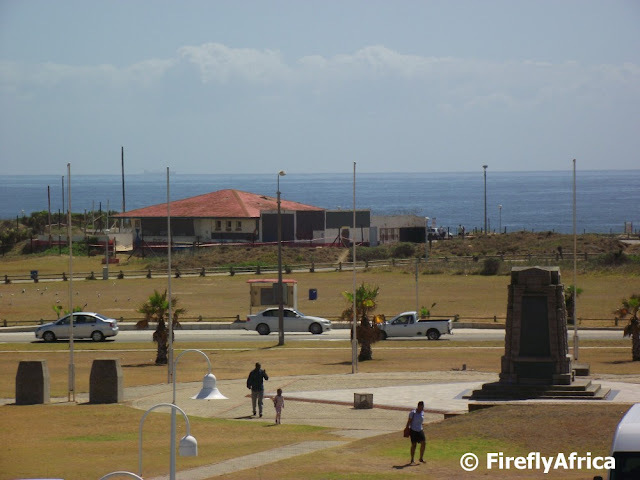 Although Port Elizabeth was never part of the actual war during the Anglo Boer War, there are a lot of Boer War related things around the city. This is where most of the British forces' horses and mules came through and both PE and Uitenhage had concentration camp sites. 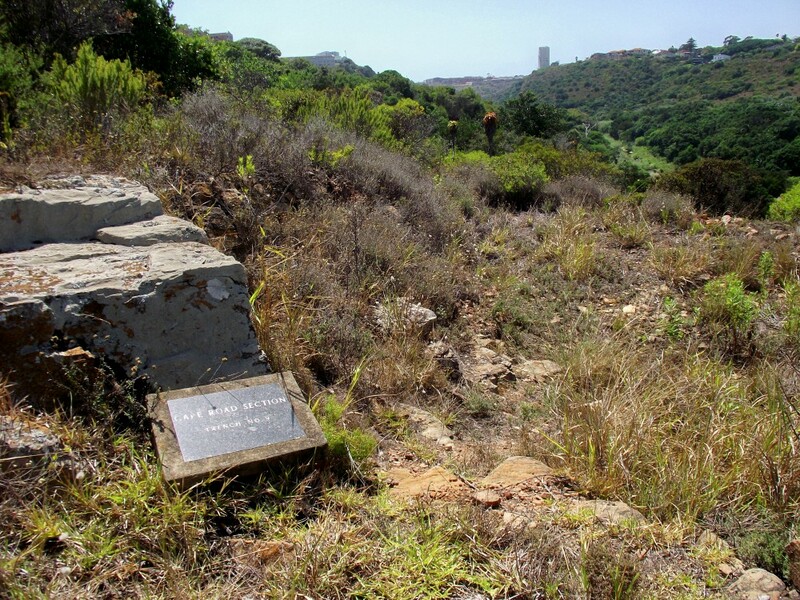 At some stage during the war the British received word of a possible Boer invasion and started setting up town defences. Part of these were a series of forts and trenches around the area. Four of these trenches are still visible just off the How Avenue parking area of Settlers Park. I recently started Geocaching, so you may just hear me mention it every now and then as it gets me to be out and about a bit more than usual. 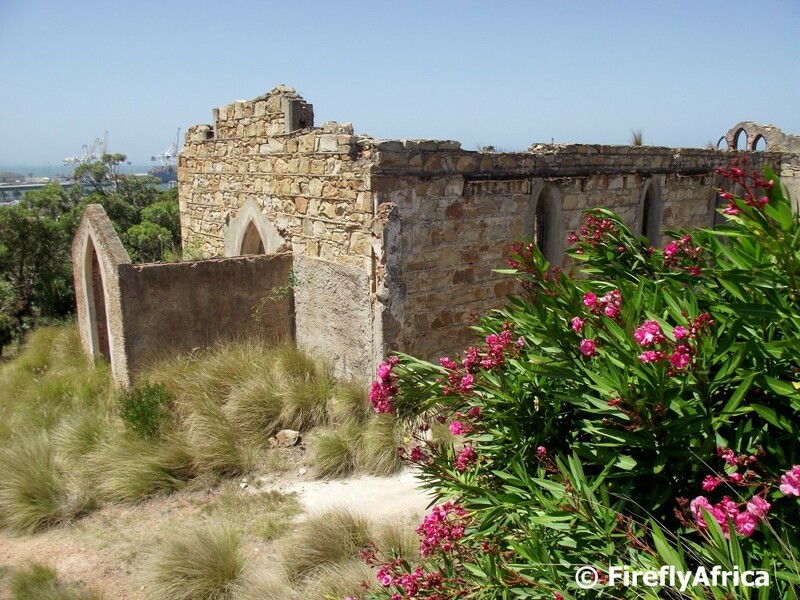 One of the places I found a cache was at the St Peters Church ruins in South End. The church was opened in 1877. After the people of the area were removed due to the Group areas Act in the late 1960's the church was demolished to stop the congregation coming back there on Sundays for church services. I had to pop down to Settlers Park for a quick visit the other day and just couldn't help to take a couple of moments to enjoy the view up the Baakens Valley. 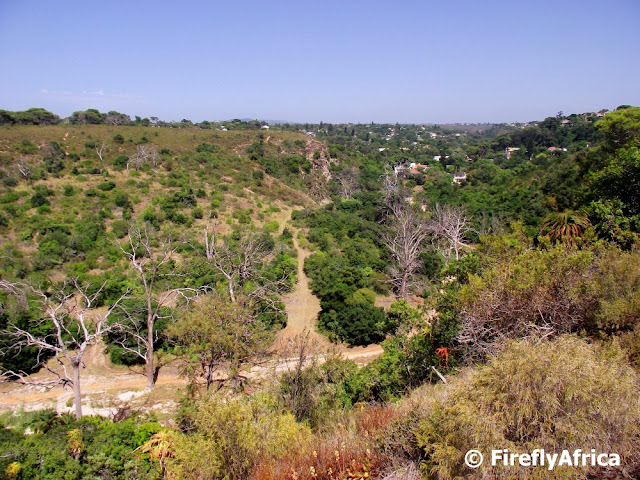 The valley truly is Port Elizabeth's green lung. Valentines Day is a day of flowers. Personally I prefer the flowers in the garden or the wild rather than sitting in a vase inside. So to celebrate Valentines Day I'm posting a pic of a Bromeliad flower in St Georges Park, photographed when we went in search of a Geocache there the other day. Maduna Road is one of the road in Langa, Uitenhage, where the Langa massacre took place in 1985. 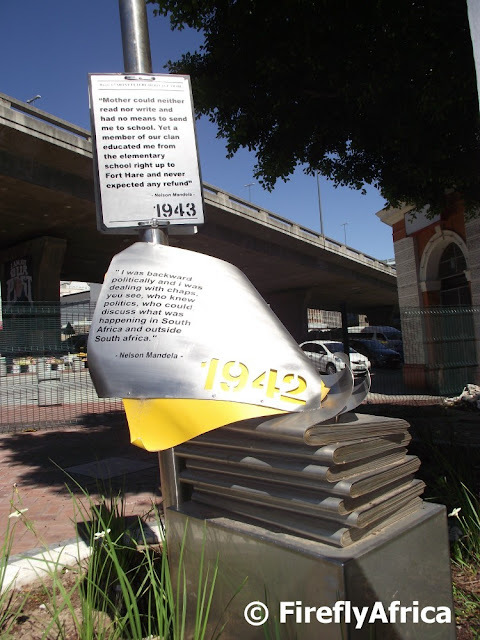 The Langa massacre took place on the 25th anniversary of the Sharpville massacre of 1960. The police fired on a group of mourners on their way to a banned funeral, killing 20 people. 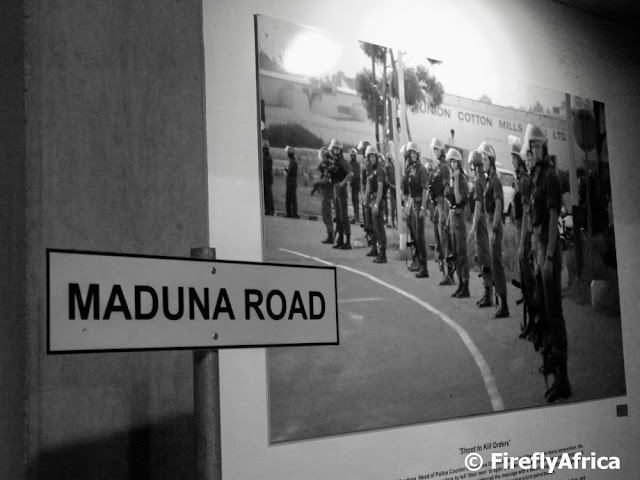 There was an international outcry following this incident and a Commission of Inquiry (Kannemeyer Commission) was immediately appointed to investigate the cause of the shooting. The story is told in one of the exhibits in the Red Location Museum in New Brighton. A few weeks ago I posted the blowing newspaper art piece which forms part of Route 67. It may be the biggest but its not the only blowing newspaper piece on the route. At the Campanile there is another smaller one containing quotes by Nelson Mandela. 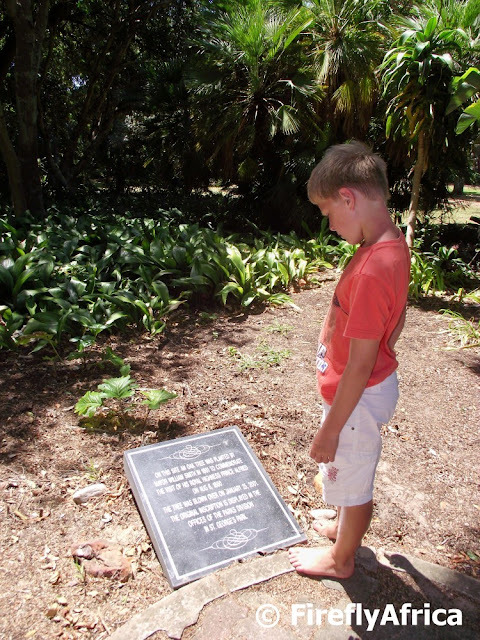 There are a couple of war memorials around St Georges Park commemorating those from Port Elizabeth who have died in various wars over the years. A number of them refer to the two World Wars with the most prominent one being the Cenotaph in front of the Nelson Mandela Metropolitan Art Museum. 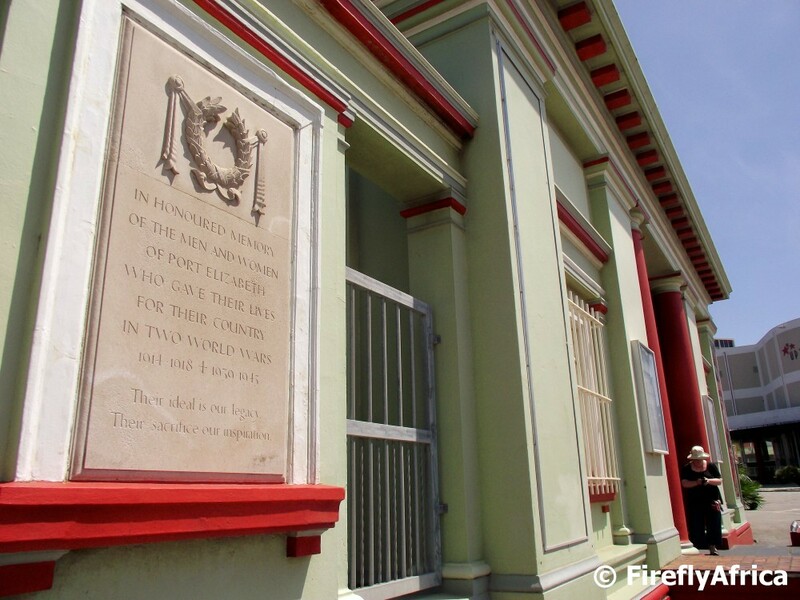 One of the lesser known ones is a plaque on the front wall of the art museum. 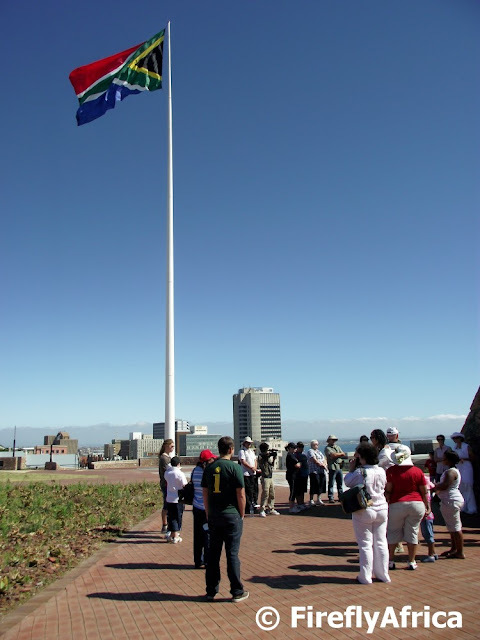 At 60 meters high the flag pole on the Donkin Reserve in Port Elizabeth is the tallest flag pole in South Africa while the flag flying from it is the biggest South African flag in the world. The flag is about the size of a tennis court and usually when I say it people look at me funny, look up at it and then shake their heads. Remember that the flag is flying 60 meters up so it doesn't look that big from the ground. A video was uploaded on YouTube recently showing the flag being lowered in a very strong wind and as the flag reached ground level you can actually get a better idea of how big it really is. Plus its quite amusing watching the soldiers on duty try and get it into its container. We joined a couple of friends for breakfast at the Wimpy in the Summerstrand Village Shopping Centre. 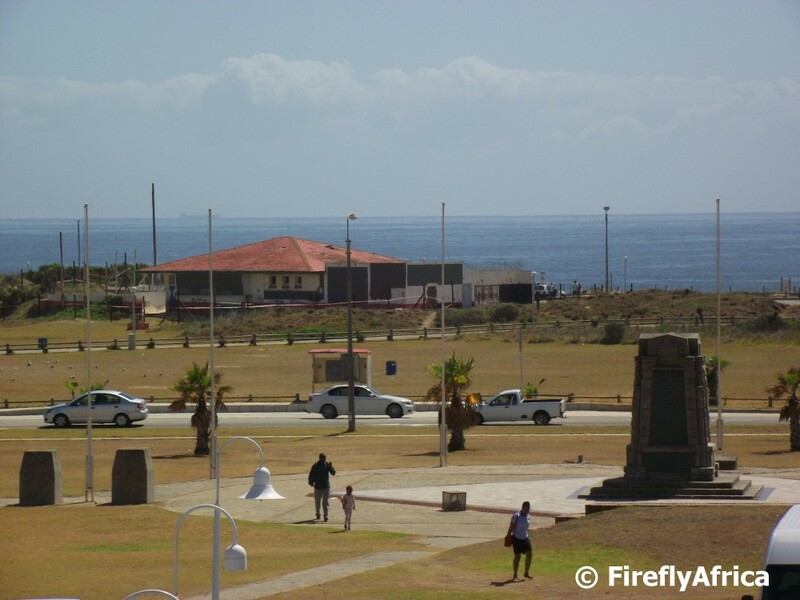 Standing outside on the deck you can see the Piet Retief Monument in the foreground and the old Something Good roadhouse in the back. The roadhouse has stood empty for a couple of years now and extensive renovations have started on the building in the week after I took this picture. I think most people in town are very excited to see what will emerge after the work. 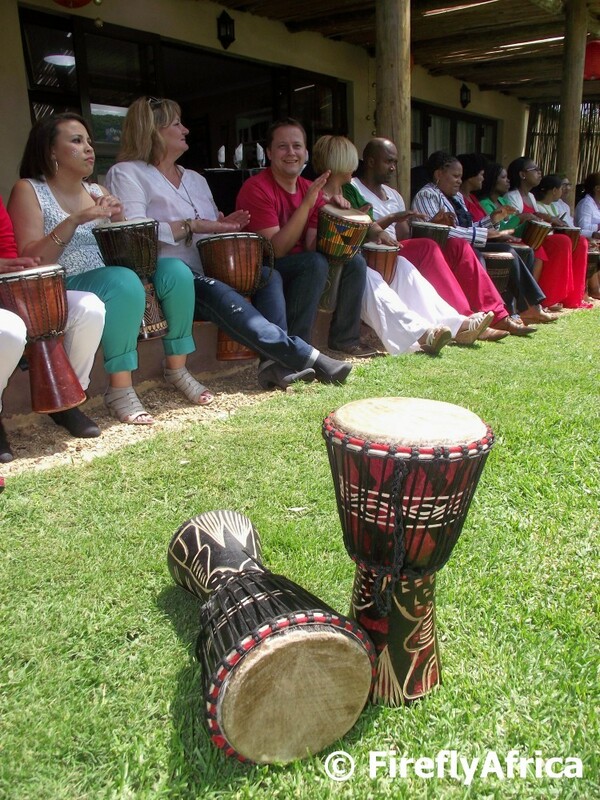 Drumming sessions is a great part of any corporate team building. At the end of last year we had a drumming session with African Drumbeat during our end of year function at Thunzi Bush Lodge. I don't want to say I was sceptical, just not sure what to expect. In the end though I was pleasantly surprised. Such an awesome activity to do with one's colleagues and once you get started you kinda wonder where you can get your hands on your own drum to take home. Perhaps the title of the post is a little bit misleading, but "The site of the first tree in St Georges Park which was blown over and isn't there anymore" would be a little too long. The first tree to be planted in the park was done so during the official establishment of the park in 1861. 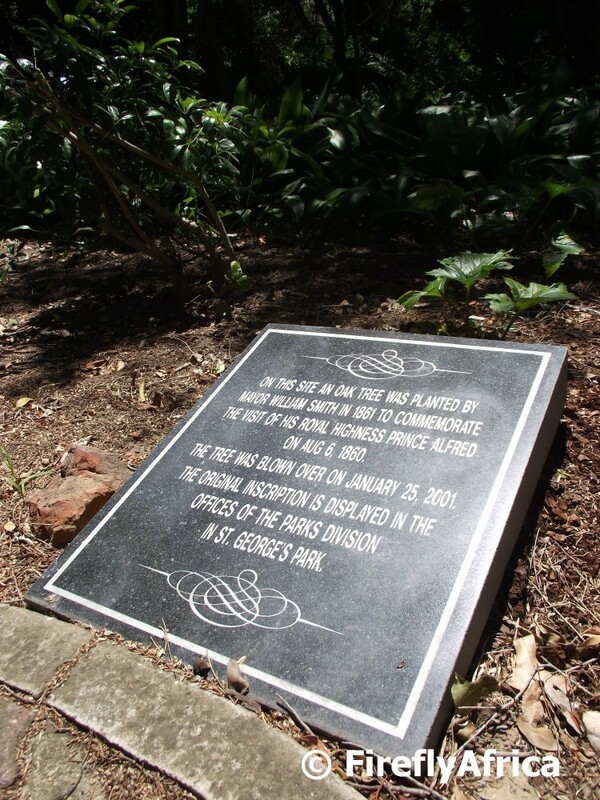 The tree blew over in 2001 with the original inscription then being moved to the municipality's park division offices in the park. We went after a couple of Geocaches in the park and stumbled on the plaque next to one of the paths. The kid in the picture is not Chaos Boy but the son of a friend who joined us and stood reading the inscription when I was taking pictures. The new look Donkin Reserve is drawing a lot of people back to the area thanks to Route 67, many who haven't been there since they were kids. 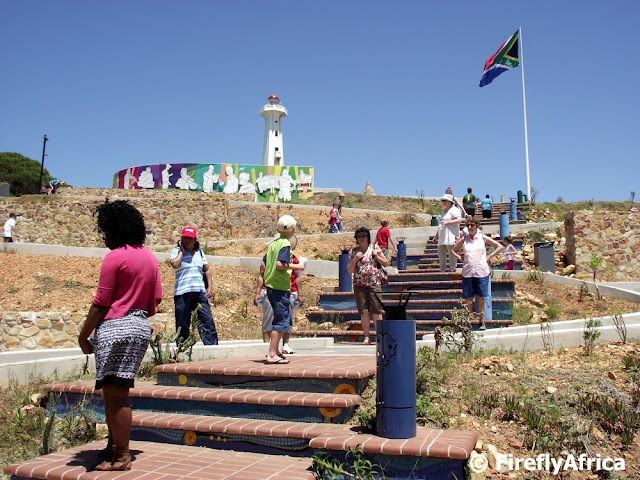 More tour buses are also stopping there which shows that the Donkin Reserve / Route 67 combination is truly becoming an Port Elizabeth icon and a must see when visiting the city. Port Elizabeth has some wonderful art galleries and some outstanding coffee shops, so what would be better than to find a combination between the two. Dessie's at the Tin House on Cuyler Street in Central is one such a place. 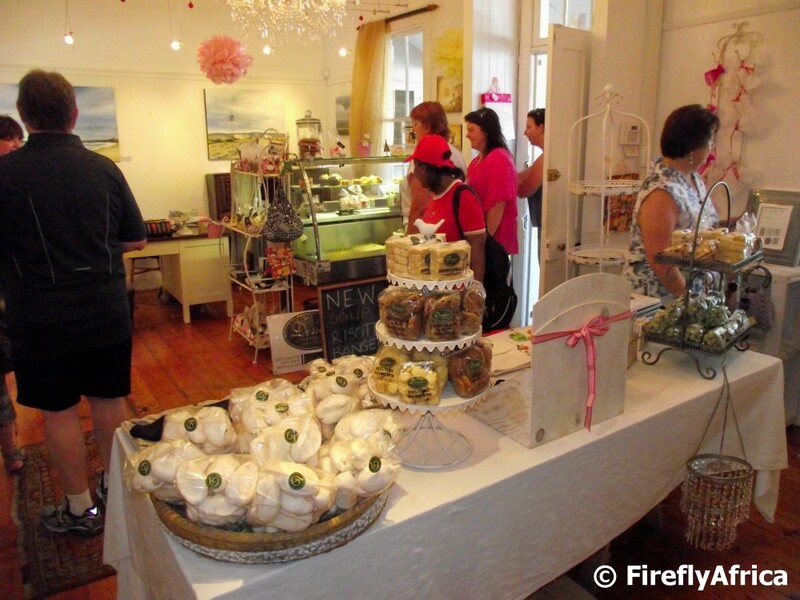 Its a delightful little coffee shop which allows local artists to exhibit (and hopefully sell) their work there. The shop is situated in an old corrugated iron house which came to South Africa from England in kit form during the 1800's. The Humpback Dolphin Trail walkway along the Port Elizabeth beachfront is a great way to get some fresh air and explore the beaches. 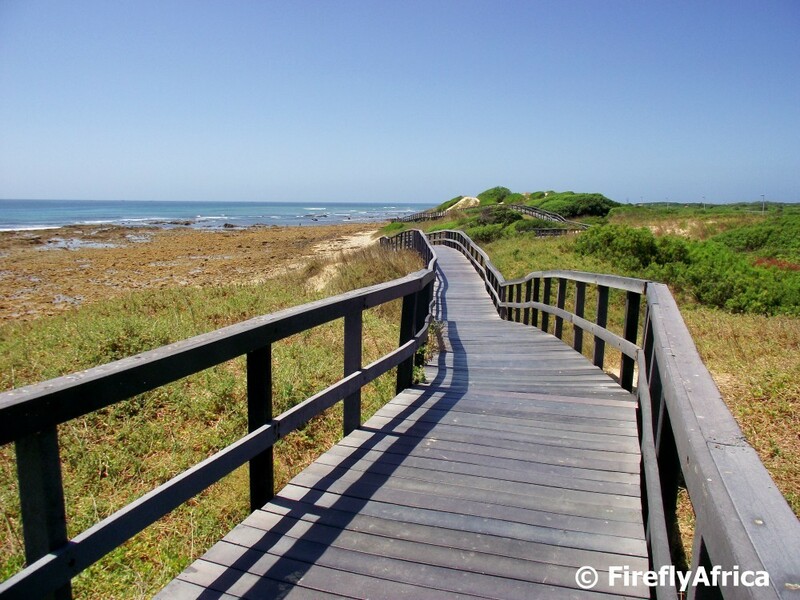 This section of the walkway follows the coast from the beacon at the end of Admirality Way towards Pine Lodge. The Lower Guinea Fowl Trail starts at the 3rd Avenue Dip and ends down in Settlers Park. 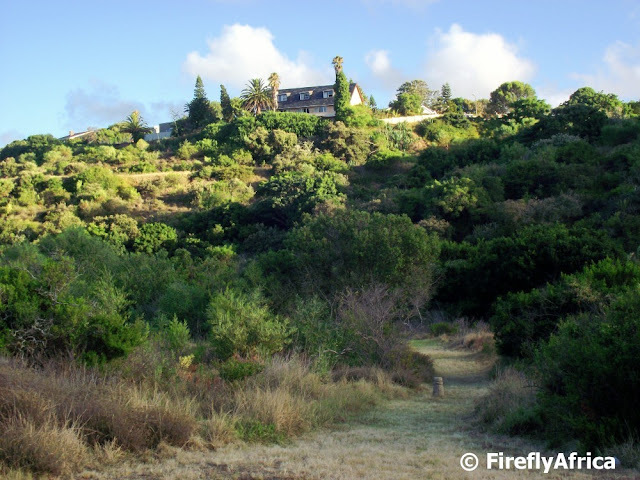 I didn't really take the picture to show the start of the trail, but rather the houses overlooking the Baakens Valley. 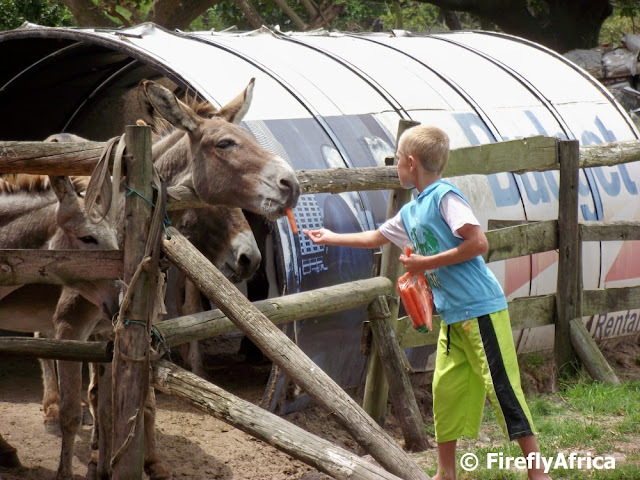 Chaos Boy, unlike Drama Princess, is a bit wary of the donks at the East Cape Horse Care Unit. While Drama Princess doesn't mind getting close to them, Chaos Boy keeps a good distance between himself and the carrot munchers.